OUAT Halloween. . HD Wallpaper and background images in the Once Upon A Time club. This Once Upon A Time fan art contains anime, comic book, manga, and cartoon. I know right! 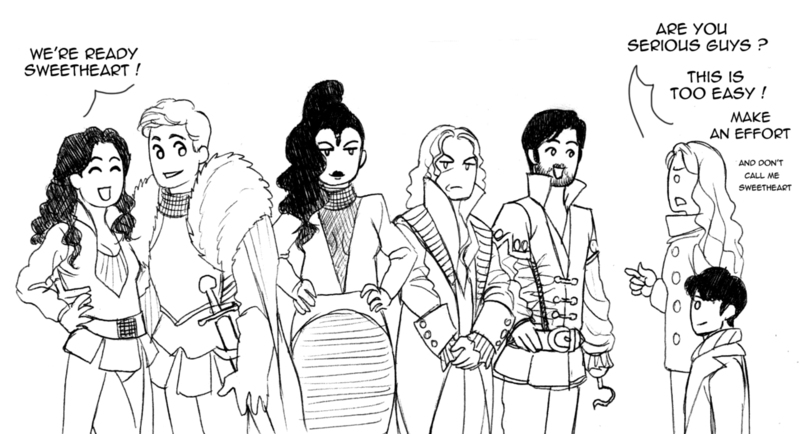 I found this other one and Regina was dressed as Bellatrix and it made me really happy because Ginatrix!